The new Corvette Engine Build experience is going on the road....to the SEMA show in Las Vegas next month. The engine build process will be demonstrated at the event as a way to promote this additional feature available with the purchase of select new Corvettes. Stop by Pollard Chevrolet to find out more about the Corvette Engine Build experience! See the 2011 Corvette catalog online with this digital brochure. Stop by Purifoy Chevrolet to see the 2011 Corvette in person! 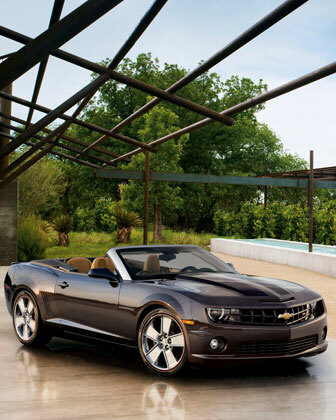 In just three minutes earlier today, customers claimed all 100 of the special edition 2011 Chevrolet Camaro Convertibles prepared exclusively for the annual Neiman Marcus Christmas Book. These new owners claimed their Neiman Marcus Edition cars via a special telephone reservation process, a few hours after the car appeared on NBC’s Today Show. Only 100 special edition convertibles will be built, each offering luxury appointments inspired by Neiman Marcus combined with the legendary performance of the Camaro SS. 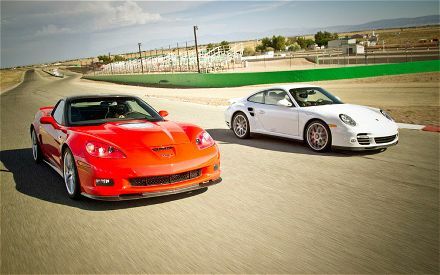 The new owners will take delivery of their special edition cars in the spring of 2011, shortly after the new 2011 Chevrolet Camaro arrives in dealerships. Learn more about the Chevrolet Camaro at Purifoy Chevrolet. Six-weeks after announcing its Corvette Engine Build Experience, General Motors has its first taker. Todd Schnitt, a radio talk show host from Florida, has become the first person to sign up for GM’s $5,800 engine build program. As part of the program, Schnitt will travel to GM’s Performance Build Center in Wixom, Michigan on August 30th to personally hand-build the supercharged V8 engine that will eventually be installed in his recently ordered Corvette ZR1. GM technicians will be on hand to guide Schnitt through the build process and his ZR1 will still be fully covered by GM’s factory warranty. “To build my own engine is over the top,” said Schnitt. “When my dealer told me about the option it was like ‘Of course, I’ll do it, sign me up!’. I can’t wait to get there and build my own LS9. It will be the ultimate personalization for my car. I’m anticipating it being one of the coolest things I’ve done in my life. It definitely makes my ‘bucket-list." Read entire article here on Left Lane News. Learn more about the Corvette Engine Build Experience at Purifoy Chevrolet. Get 0% financing on remaining new 2010 Chevrolet Corvettes at Purifoy Chevrolet (w.a.c.). 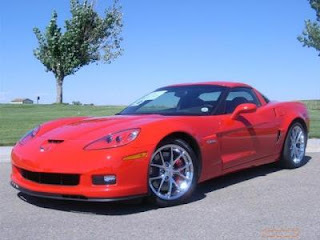 This financing special includes ZR1. See dealer for details. Check out their remaining 2010 Corvette models here. Get your Corvette or any other vehicle serviced for the winter at Purifoy's Fall Auto Care Day! Stop by Purifoy on Saturday, October 23rd - from 7am to 3 pm and get a full service oil change for only $24 ! This includes up to 6 quarts of conventional oil. We will also: check all fluids, check battery, check tire pressure, and check all belts and hoses. PLUS - we will have FREE hotdogs and soda all day! A rare and elusive 2004 Chevrolet Corvette Commemorative Edition Z06 has come to us, and boy is it a nice car. This low milage car is flawless and well worth coming to see. It has the 5.7L V8 rated at 405 HP, chrome wheels, and all the other goodies that were available in 2004. Hurry in to Purifoy Chevrolet ..... This one wont last long. Call or email to set up an appointment! We're still red-eyed, white-knuckled, and blue in the face over GM's most powerful super-duper car. Read the whole article here. Then head over to Purifoy Chevrolet to see their amazing selection of new and pre-owned Corvettes. 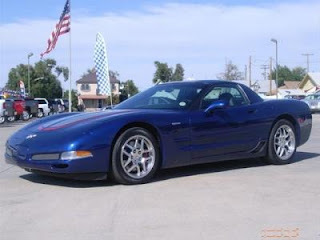 Purifoy Chevrolet is the best place to buy your new or preowned Corvette!